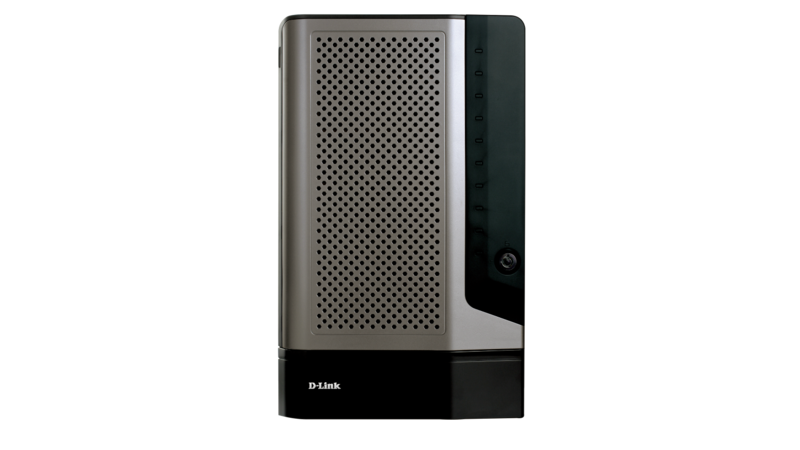 D-Link's DSN-1100-10 iSCSI SAN array is an entry-level network storage solution in a 5-bay desktop form factor, ideal for small businesses. The heart of the DSN-1100-10 is a powerful 10Gbit iSCSI System-on-a-Chip (SoC) capable of handling over 80,000 I/OS per second. The DSN-1100-10 supports 10TB of raw capacity using 2TB drives and can be easily implemented as a supplemental backup platform for quick restores, as secondary online storage, or as bandwidth-demanding primary storage for security surveillance and A/V applications. Storage Area Networks (SANs) have traditionally been reserved for complex Fibre Channel networks. The recent introduction of iSCSI has extended the powerful centralized storage capabilities of SAN technology to IP networks. By utilizing existing Ethernet technology, the costs associated with Fibre Channel switching, separate host bus adapters, expensive storage subsystems and administration is significantly reduced. iSCSI SANs leverage the Ethernet infrastructure and standards that are already familiar to most IT personnel. The DSN-1100-10 iSCSI SAN array supports Multi-path I/O (MPIO), Multiple Connections per Session (MCS), and Link Aggregation Groups (LAG) for unmatched network flexibility, performance and resiliency, allowing their 1GbE data ports to be grouped together for full line speeds of up to 425MB/s bandwidth. By utilizing a SoC design, the DSN-1100-10 combines both networking and storage functions into a single specialized Application Specific Integrated Circuit (ASIC). This SoC combines 10Gbps iSCSI, TCP & IP offload, 12 embedded processors and storage virtualization firmware onto a single chip. The tight integration of these functions eliminates interoperability, timing and support issues found in competitive products that offer a “discrete implementation” wherein various components are selected separately, then assembled. D-Link's xStack Storage iSCSI SAN arrays support RAID level 0, 1, 1+0 and 5 configurations (striped sets, mirrored sets, striped mirrored sets and parity sets) for data protection and performance. D-Link supports S.M.A.R.T. disk diagnostics, and non-destructive data migration to prevent disk failure. The embedded, user-friendly IP-SAN Device Manager (IDM) provides a comprehensive console for system management. Boasting a rich set of management features, this suite of utilities allows monitoring and control of the SAN array via the Storage Management Initiative-Specification (SMI-S) command set. With a secure server, users can remotely configure and monitor their SAN arrays over the Internet. 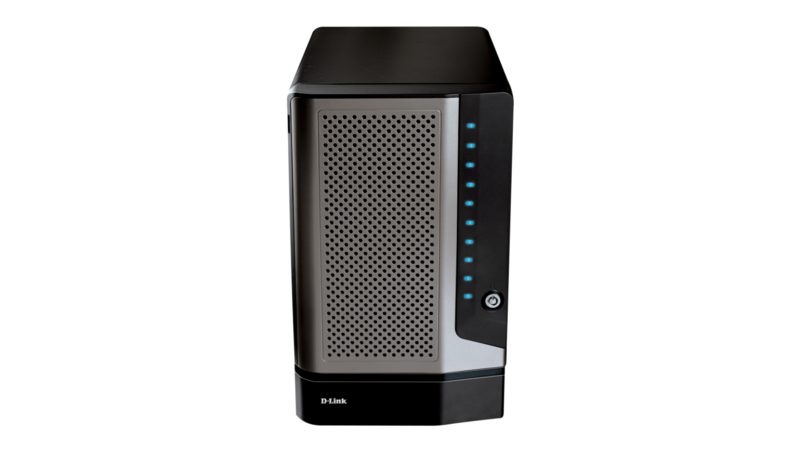 The DSN-1100-10 also provides an advanced set of features for efficient management and optimal storage performance. For the fastest RAID performance offered in the industry, D-Link's adaptive cache management provides write coalescing and multi-stream read-ahead on a volume basis, optimizing cache utilization and performance in an application dependent manner. Volatile cache data protection is afforded via an on-board battery supporting 1GB of cache memory for a minimum of 72 hours. A write-back or write-through cache memory policy can be selected manually or automatically, depending on the status of the battery's charge. The DSN-1100-10 supports jumbo frames and VLAN tagging to segregate traffic into isolated zones for secure access, improving network throughput and reducing CPU overhead. D-Link's volume virtualization technology utilizes the concept of storage extents, which are the fundamental building blocks used to enable features such as RAID, online capacity expansion, volume reconfiguration and migration. Each disk drive can contain multiple and divergent RAID configurations instead of requiring dedication to a single RAID set. This technology allows for the support of mixed disk drive capacities for volume creation. Volume capacity expansion, volume reconfiguration, and RAID level migration are performed online with minimal impact to users. Users can quickly deploy a SAN using inexpensive SATA disk drives and simply add more drives as needed. An iSCSI SAN array can prove to be a valuable tool to supplement a network storage foundation. 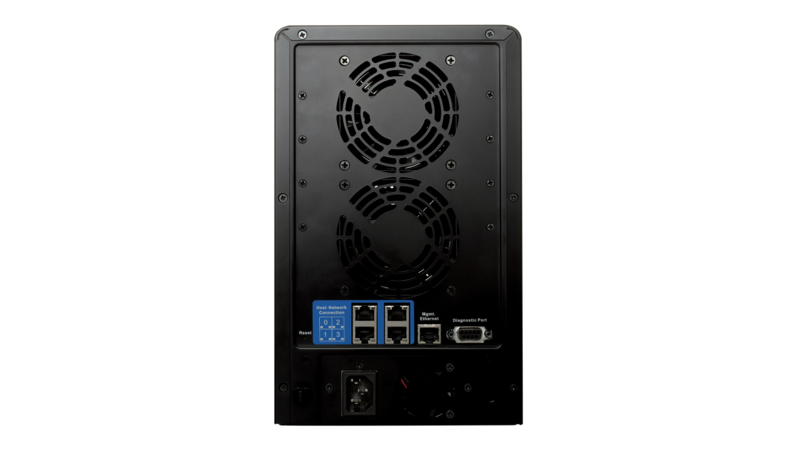 Whether providing a low-cost block-based solution for data backup and recovery, replacement of Direct Attached Storage (DAS), providing secondary online storage, or providing up to 425MB/s bandwidth for security surveillance and video post-production applications, the DSN-1100-10 as an ideal solution for small businesses. All references to speed and range are for comparison purposes only. Product specifications, size, and shape are subject to change without notice, and actual product appearance may differ from that depicted herein.